1. Do I need to have a bath?If you have a house with three bedrooms or more, most people would recommend a bath be included in your bathroom design. Most families have a preference for a bath, and it adds an element of luxury to your bathroom. If you can’t fit in a bath and a shower separately, then the shower-over-bath combination is a great option. 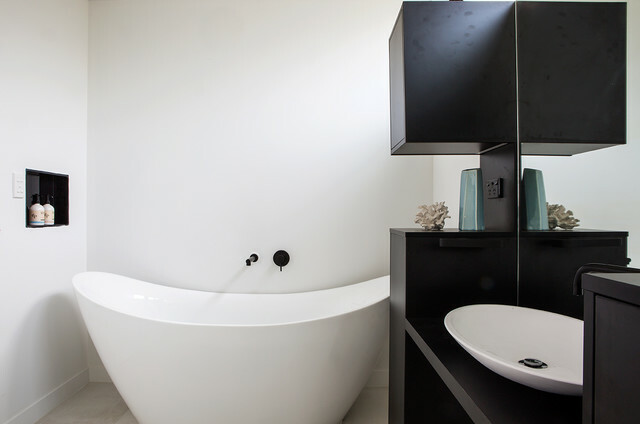 You can still make it a design feature by building a dynamic base with the bath, as seen in this bathroom. Many bathrooms simply aren’t big enough for a bath though; if this is the case, then a shower with a removable showerhead is important for functionality.To bath or not to bath?